Strategies to acquire customers from the world's biggest social network. Will Facebook Ads work for your business? Deepak heads digital marketing at Razorpay. 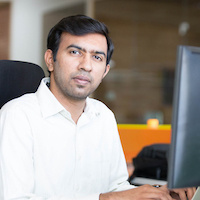 He has previously worked in well known B2B and B2C startups such as Exotel, Practo & Instamojo. He has invested over a million dollars in digital advertising through the course of his career. He has extensive experience in all the major digital marketing channels such as Search Engine marketing, display marketing and Social Network Advertising.